Modern life cannot thrive without the use of internet now. The dependency we have on the internet today cannot be emphasized enough. From social media to networking to emails, the internet has influenced our lives in a way that is undeniable. Every day with newer technological advancement, it can be said that this trend is here to stay and is only going to increase over time. The advent of the internet in our lives has also given the common man a chance to upgrade his chances of advancement and connectivity with the rest of the world at free of cost and from the comfort of his home. With the help of the internet, an individual can dream of starting and promoting his business. There is not a bigger market which is as efficient and cheap as internet marketing. You can promote your work at free of cost with the help of the internet and set up your business and brand. Blogging is the best way to do this. You just need to create a website with the help of a content management system. WordPress is undoubtedly considered one of the best in the world when it comes to this. 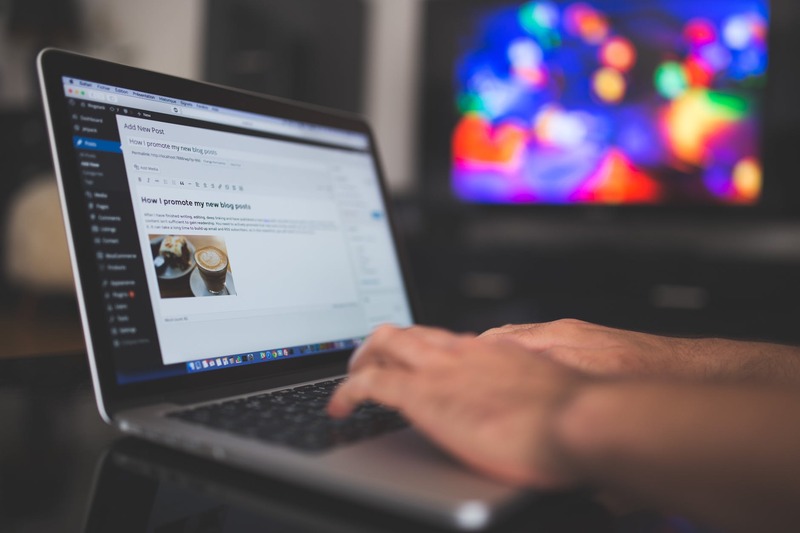 Your WordPress blog can be the foundation of your website. For that, it needs to be built in a way that attracts the visitors as well as stays relevant to your brand. Promoting your WordPress website is an essential task. And if you are just starting out, social media can be a big help in this matter. The influence and potential social media have today undeniable. And if you are not utilizing this free to all platform, then you are missing out on a lot of potential customers. Instagram can be a major help if you are looking for a social media platform to start promoting your WordPress. This website is relatively new compared to its predecessors like Facebook and Twitter. But it is soon catching up. With 800 million active users monthly logging in to this and around 6 million users monthly, this social media platform has huge potential for internet marketing. In this article, we are going to discuss how you can utilize the full potential of Instagram to promote your WordPress blog. Cross promoting can be a great idea when you are trying to increase traffic to your blog as well as your Instagram. You can promote one with the help of the other and as a result, increase the SEO of both the profiles. Once you have built enough followers on Instagram which is easy to do, you can then guide them to your website. You can do the reverse as well. For a start, you can add your WordPress website link on the bio section provided on your Instagram profile. The next thing to do is connecting your Instagram to your WordPress blog. WordPress comes with a lot of free plug-ins which you can use for this purpose. You need to embed your Instagram on your blog and with the help of plugin provided by WordPress you can do so. It is easy to use, and you do not have to be a technical expert to do it. Then you can also embed your Instagram feed on your WordPress with a plugin. The images you use on your WordPress blog can be posted on Instagram for promotion. All you need to do is mention the link in the caption of your Instagram post to inform your followers about your new WordPress blog post and update the link in the bio section so that they can easily visit the blog by clicking on it. You can use Instagram to make your followers help promote your WordPress blog post as well. All you have to do is use a plugin on the images you used on your post as well as your Instagram, to give your visitors a chance to share that image on their Instagram feed. This will help build traffic on your website by a considerable number. When they do that, their friends and followers on their Instagram and other social media will be able to see your content. This is gold when you are trying to promote your WordPress blog. Stay true to creating the best content possible, and these visitors could become your future followers and potential customers. Once you have set up your Instagram profile, you need regular and loyal followership so that you can divert them to your WordPress website to increase traffic on your blog post. But you don't just need followers and visitors who might not be interested in purchasing your service or products. Your main goal is to increase revenue through your WordPress blog. For this, you need relevant customers who are going to be genuinely interested in your content. For this, you need to have a significantly popular Instagram profile. With the help of tags and good quality visual contents that is likely to happen over time. But in business time is money. And if you want fast results, you can use the help of websites like Gramblast to help you get real followers quickly. When you have a significant number of real followers, you will start to see getting results. Your WordPress blog will eventually have enough traffic with the help of your Instagram followers and their sharing of your content. And before you know it, your brand will have enough customers and potential customers, and you will start getting revenues. This may sound like a lot especially if you are just starting out and new to this kind promotion. But if you follow the steps mentioned above, you will be able to promote your WordPress blog with the help of your Instagram social media account. You do not need a lot of research or technical knowledge to set up your business online. All you have to do is just stay true to your brand image and provide customers good quality content.